The above street style picture of Lizzie Hadfield sums up precisely how I want you to feel this month. You don't have to wear a T-shirt to proclaim it (although we are kind of obsessed with this one from Blouse for £85), but what I do hope comes out of Who What Wear UK's editorial content and social media activity for February is a huge serving of fashion optimism. This time of the year, in my opinion, always feels a bit meh: unable to shake off the dregs of winter—both in terms of weather and outfit choices—while springtime newness feels a long way off being a reality. Maybe that would explain the shopping bender I've been on for the past week. I've always been a firm believer in the duality of fashion. It definitely delivers light, frivolous relief, but at the same time, we're talking about a very big and very serious business. First, there's the actual scale: The UK's £66 billion industry contributes 6% of the country's entire market, supporting over 880,000 jobs on the ground. Fashion is also increasingly used as a platform and catalyst for good. Think of the strides being made in the fields of diversity or sustainability, or the many brilliant people quite literally using their clothes as a canvas for protest right now. Fashion and the creative industries are often at the forefront of cultural and social change; there will always be room for improvement—and undoubtedly, or should I say unfortunately, something to always fight for—but your style choices can not only make your personal sphere a brighter place but the wider world one too. More than that, clothes are fun! Shoes are fun! Earrings are really, really, really fun! And don't even get me started on sales shopping… Who What Wear UK will celebrate the many positive facets of fashion across the next 28 days, and throughout the rest of the year for that matter. You will discover "happy fashion" formulas from the cheeriest industry figures we know; a deeper exploration of personal style and the benefits of it; the science behind outfits that can actually change your mood or the first impression you make; a real-time, real-girl view of what really happens at LFW; a bumper High Street Week (starting 19 February—mark it in your diaries) and so much more. But first, let's start with what makes our editorial team fashion-happy. "There are three primary things related to fashion that make me happy. "1. I'm a fashion nerd at heart, so any chance I might have to sit down for half an hour an actually read a book about fashion history will cheer me up no end. "2. Vintage shopping: It's like a sport for me, and when I find a gem it's akin to winning the lottery… I imagine. "3. Being present for a 'moment,' as in one of those major catwalk happenings that will be talked about forever/at least the whole season. Nothing more exciting than seeing such a thing first hand. I'll never forget the time I managed to blag my way into a Jean Paul Gaultier show as a student—it was a year where the designer showcased an entire retrospective and I'd never seen such fantastical clothes before in my life. 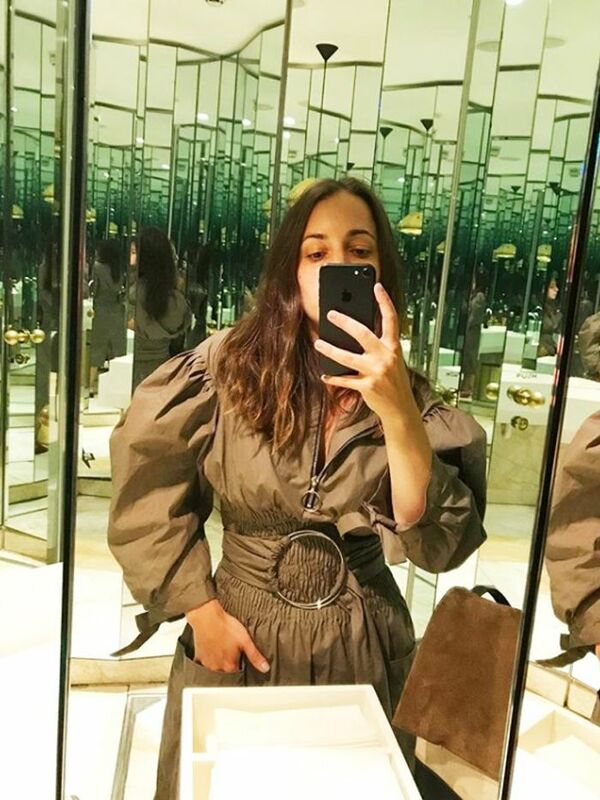 "And then, of course, playing dress-up with the fabulous pieces that come into our office—but you probably would've guessed that of an editorial director looking after a fashion site." "While my koala-bear onesie and revisiting all of the costumes in Gossip Girl will always bring me joy, the things that I am always happiest to wear are my floral midi dresses (I now have quite a collection). They instantly make me feel confident, and I have worn each one so many times that they each bring back really special memories. And no matter how many I have, buying a new one always makes me really happy!" "There are two fashion icons I always love to fall into a Google image search hole over: photos of David Bowie in the Ziggy Stardust phase—just so fun and experimental, a true trailblazer. And then Beyoncé's Black Panther tributes (because it's so refreshing to have a musician actually make a political statement these days). "Then when it comes to my own closet, it's when I'm wearing something that's the perfect combo of making me feel good and making me look good—that simple, really. 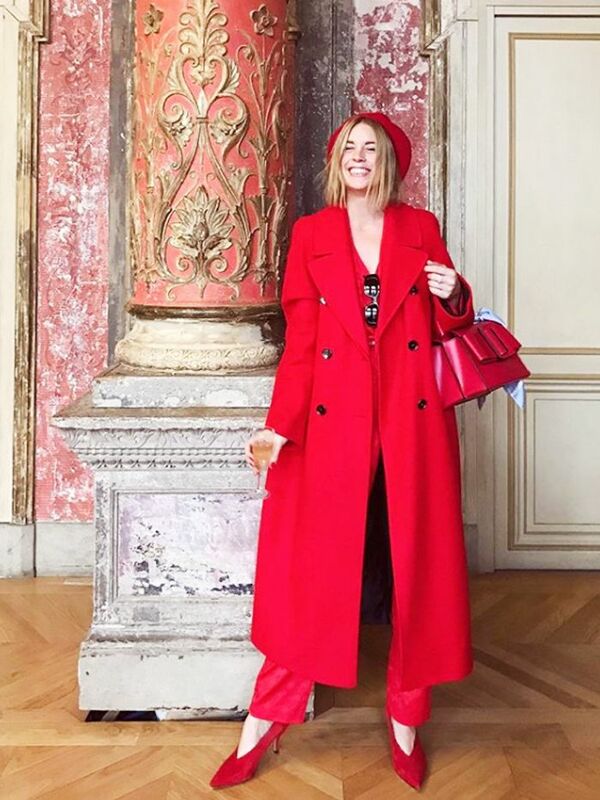 However, right now, the exact pieces that make me happy are a red jumper, a pair of gold earrings, and a vintage Aquascutum jacket for £20 that fits me perfectly." "Because I am very black and white in my daily style, my style happiness comes from outrageous accessories. Bold earrings or a ridiculously impractical bag usually do the trick. For a treat, I'll dress in head-to-toe pink. "And then my other love for fashion comes through fashion on film, but not 'fashion films' per se. I'm obsessed with discovering new movies on Mubi (it's like a high-brow Netflix) and finding outfit tricks from obscure movies."